Communication devices are great for helping people express themselves no matter their abilities, helping individuals of all different kinds to develop their communication skills and enhance their language use. Interpersonal connections form an essential part of life. In addition to verbal speech, there are many alternative forms of productive and rewarding communication. Communication devices, often called Alternative and Augmentative Communication or AAC devices, help people communicate without verbal speech. Who Are Single-Message Communication Devices For? Single-message communication devices, such as our Big & Small Talks, serve as great introductions to AAC. 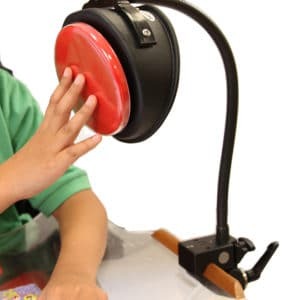 Anyone who struggles with speech or communication can benefit from one of these simple devices. People can use single-message communicators to get another’s attention, greet people or tell stories. They can also use these devices to develop language skills. 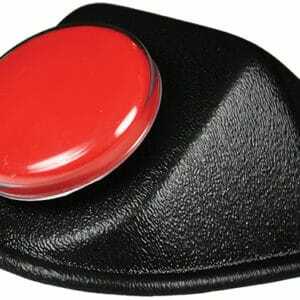 One-message communicators allow a user to play a single recorded message by activating the communicator plate or by using your ability switch. They come in multiple sizes and styles to meet diverse needs. Sequential communicators can play single, sequential or random messages, allowing for more varied communication. Some also include multiple levels to store even more messages. Enabling Devices offers large and small communicators. Our Big Talks are large, measuring 7 inches in diameter and 4.5 inches in height. 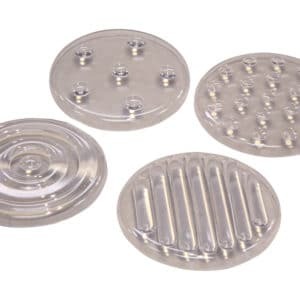 These switches are designed for easy use by people with motor restrictions. Our Small Talks are more compact and portable, measuring 6.25 inches in length and width and 3 inches in height. When selecting a communication device, consider who it’s for and how it will be used. Will you need multiple messages? If so, a sequential communicator might work. 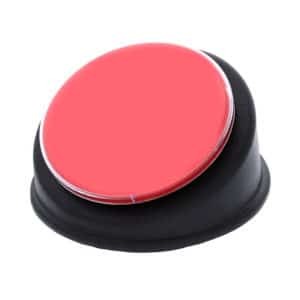 Will the user need a button with a large surface? In that situation, consider one of our Big Talks. At Enabling Devices, we understand the importance of communication. 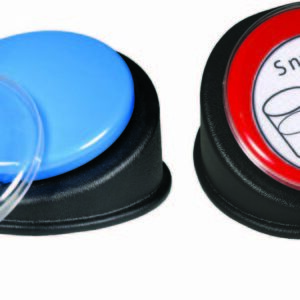 We offer a variety of simple AAC devices for the disabled. 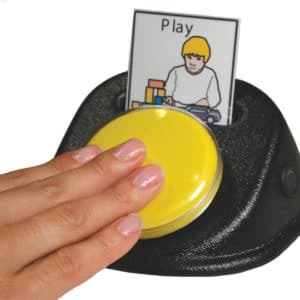 Choose from one-message or sequential communication, two different sizes and five different colors, and play messages at the touch of the plate. Are you searching for the perfect communication device? Try one of our communicators, or contact us for more information today.